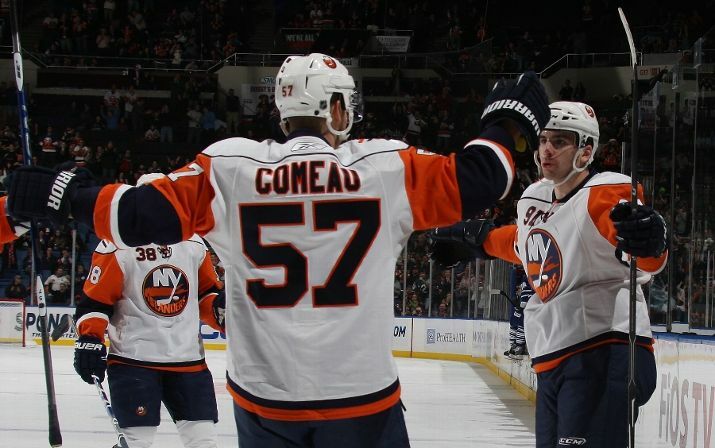 UNIONDALE, N.Y. — The New York Islanders and Detroit Red Wings both returned East after successful western trips. Only the host Islanders brought their game back with them. Rob Schremp posted his first two-goal game in the NHL, and Dwayne Roloson earned perhaps the easiest shutout of his career in New York’s 6-0 victory over the lifeless Red Wings on Tuesday night. In one of the strangest games of the season, the Islanders won the game 5-4 in their fourth shootout in the past 7 games. 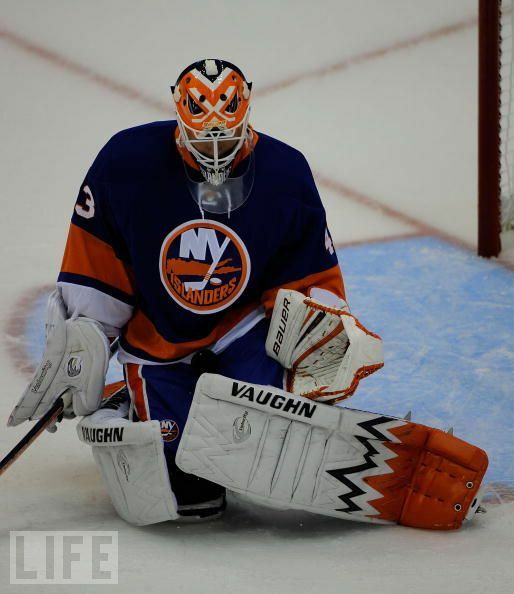 Matt Moulson nabbed the second point for the Islanders after going top shelf to end a 2-2 stalemate in the sixth round. For all the drama the shootout normally brings, however, it was pretty anticlimactic compared to what happened in regulation, particularly the second period. UNIONDALE, N.Y. — It took until the final game of a four-game homestand for the New York Islanders to capitalize on the home-ice advantage. Trent Hunter and John Tavares scored 90 seconds apart in the second period, and Dwayne Roloson made 26 saves to help the Islanders beat the Toronto Maple Leafs 3-1 on Wednesday night. 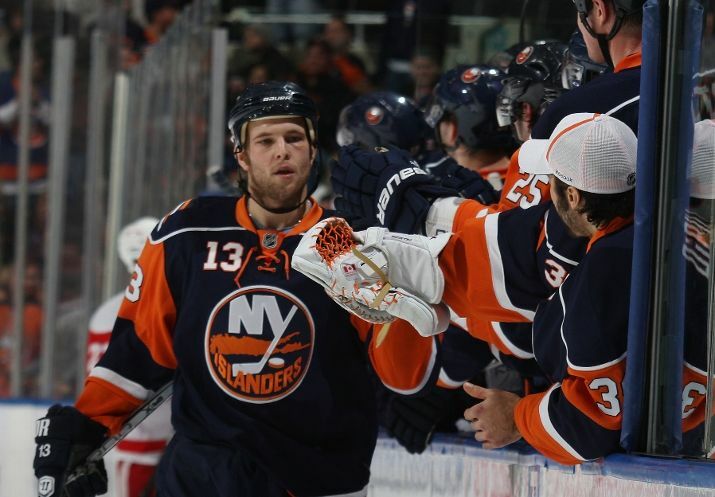 UNIONDALE, N.Y. — For one night, the New York Rangers‘ roster shake up worked. Playing without benched veterans Wade Redden and Ales Kotalik, the Rangers responded to coach John Tortorella’s heavy hand and broke out of their offensive woes. 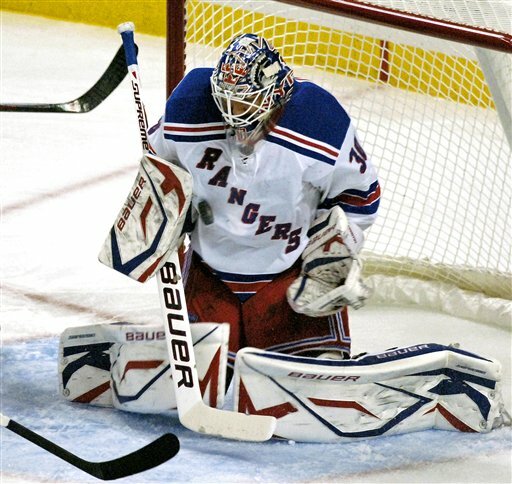 Ryan Callahan had two goals and two assists, and Henrik Lundqvist made 35 saves to lift the Rangers to a 5-2 victory over the Islanders on Thursday night that snapped a five-game losing streak (0-3-2) and gave them a split of the home-and-home series. Tortorella left screaming as Islanders defeat Rangers, again. 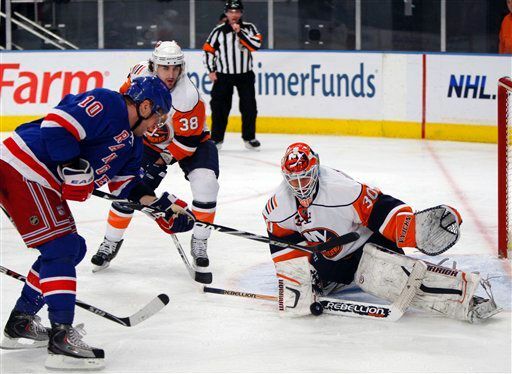 NEW YORK — Without watching a minute of action, it was easy to tell which New York team came out on top in the first half of a home-and-home series between the Islanders and Rangers. All it took was a glimpse at the postgame reactions. While the Islanders celebrated a team effort that produced a 2-1 road win on Wednesday night, Rangers coach John Tortorella unleashed an expletive-filled tirade after his offensively challenged club dropped its fifth straight (0-3-2). The New York Islanders‘ season may have hit a low point in their most recent contest, a blowout loss at home that was their fourth defeat in five games. They won’t have to travel far to find another struggling club, as the New York Rangers carry a four-game losing streak into Wednesday’s opener of a home-and-home set between the local rivals. Although they’re on pace to surpass the NHL-worst 61 points they earned last season, the Islanders (12-14-7) have still looked like a rebuilding team lately, losing three times by at least four goals during a 1-4-0 stretch. You are currently browsing the archives for the Islanders Hockey category.